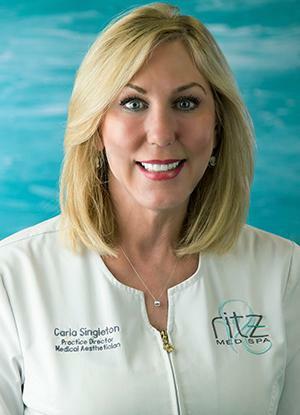 With over 15 years of experience in owning and managing aesthetic businesses, Carla has been a vital asset to the opening and development of Ritz Med Spa. A seasoned Medical Aesthetician and Laser Technician, Carla’s passion for education and extensive knowledge of skin care products and procedures will ensure you receive consistent visible results, every time. She loves connecting with her clients, establishing their trust, and giving them the personal attention they deserve.